Chinese research vessel Kexue returned to its home port of Qingdao, Shandong province, on Thursday after a 41-day research voyage to the Magellan Seamounts in the west Pacific. The ship’s chief scientist, Xu Kuidong, said one of the voyage’s achievements was to acquire precise topographic maps of two seamounts. Researchers carried out comprehensive and multidisciplinary research on one of the seamounts, including its geology, hydrography, chemistry and biodiversity. 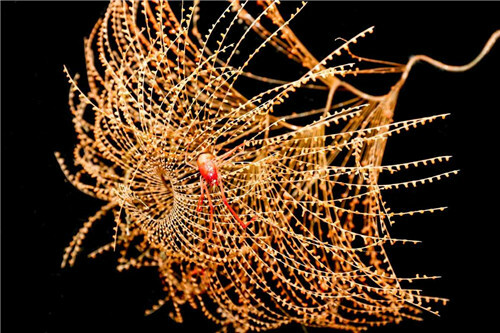 They deployed the research vessel’s advanced remote operated vehicle, Faxian, for seven deep dives and collected 356 specimens of 135 sea creatures, many previously unknown to science. Researchers also collected 33 rock specimens as well as valuable data and video footage. 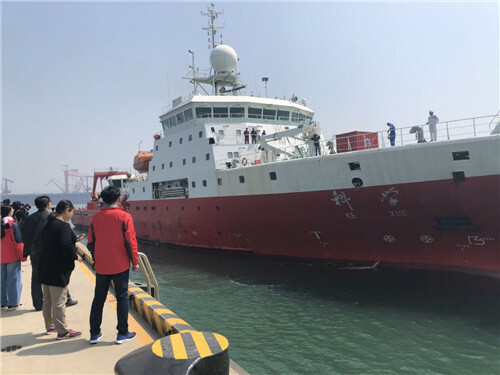 Kexue set off from Qingdao on March 10, carrying 80 researchers from the Chinese Academy of Sciences’ Institute of Oceanology, Shandong University and other institutes.